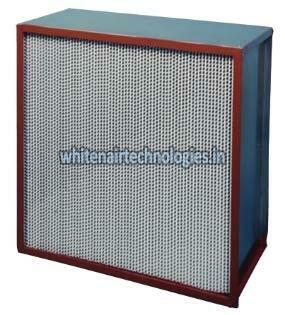 We hold expertise in manufacturing & supplying of High Temperature HEPA Air Filter from Telangana, India. Our skilled professionals pleat a continuous sheet of fibre glass paper media with aluminium separator for fabricating the filter. The High Temperature HEPA filters we offer are used for filtering air in places where temperature is beyond 100°C to 400°C. We are offering High Temperature HEPA Air Filter to buyers at modest rates.